Many indie authors think that publishing is black and white. One either gets a traditional publishing deal or one goes it alone on the indie road and turns toward Kickstarter and IndieGoGo to help cover the expenses. 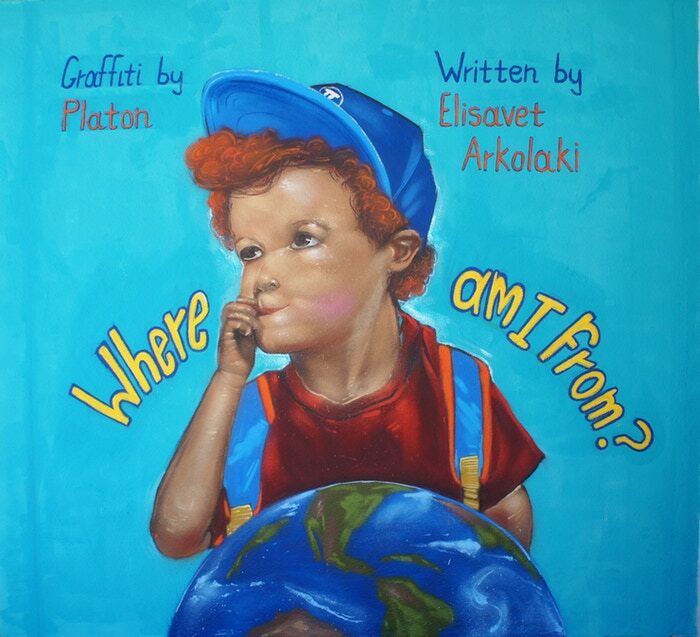 Creatively, Elisavet Arkolaki used Kickstarter as a proof-of-concept to show that her book, Where Am I From?, had a market to Faraxa Publishing based in Malta. The stakes were high for Elisavet as a failed Kickstarter campaign would mean that the traditional publishing doors would slam shut on her. This was her only chance. 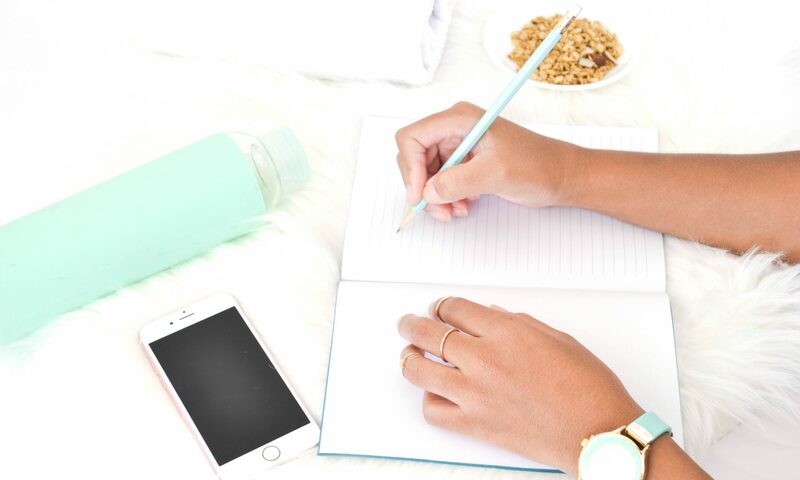 We chatted about her experience, her strategies, and what she found surprising about running a crowdfunding campaign as an author. How much research did you do before launching your Kickstarter? Can you recommend any resources to other authors that you thought were helpful? I had been reading and researching successful and unsuccessful Kickstarter campaigns for about 10 months before the launch of my campaign. I googled the creators of the successful campaigns I liked the most and read their interviews, posts, and advice. I watched several Kickstarter videos. I reached out to other creators like Joe Biel from Microcosm Publishing (20 years experience as a publisher with tons of successful KS campaigns) and asked for advice. To anyone interested in a crowdfunding campaign I would recommend to start by backing projects themselves so they can have a hands-on experience on how it works from the backer’s perspective. I would also recommend joining active marketing and crowdfunding groups. It requires a lot of planning, skills in sales and marketing. If someone lacks these skills, I would recommend to reach out to professionals like you, Lisa, and get things straight and right from the start. What types of “behind-the-scenes” work did you do that you think contributed most to your success? I compiled a list with the people from my direct network who might be interested in backing my project and contacted each one of them explaining what Kickstarter is, what we wish to achieve, and why are we doing it this way. I also compiled a list with blogs and media I thought would be interested in featuring Where am I from?. I wrote lots of unique content in advance, and most of the newspaper’s features (5 newspapers, 3 countries) were based on my writings. I started contacting the media people about 2-3 weeks before the launch. I posted on social media about 3 times per day, and I shared ‘Updates’ on Kickstarter whenever there was a new milestone to keep people engaged. We also incentivized sharing by including a big button on our Kickstarter campaign page that unlocked a free PDF for anyone who shared the campaign on their Facebook timelines using the WordPress plugin, Social Locker. It was around $30 for the plugin and worth it, in my opinion. I placed a PDF ebook called, How to Raise Confident Multicultural Children, and two stories of mine available to download free of charge after someone used Social Locker on my website to generate an automatic share of my Kickstarter campaign. When we were approaching the end of the second week, and we were still far from reaching our funding goal, I was contacted by the Libraries Counsellor of the Vestfold Municipality of Norway. She had read a newspaper article, pre-ordered 20 books for the public libraries and invited me as a speaker at a cultural event. This was also fantastic from a marketing perspective. Combined with all the newspaper features it added an extra layer of credibility to our book project, and I could display it on our Kickstarter page. It also gave us the insight that a book about diversity might be a good fit for schools and public libraries. These could be our customers. After that, my publisher (Faraxa Publishing) in Malta, small publisher run by Joanne Micallef and mum of multicultural children herself) managed to secure a pre-order for 200 books from the National Literacy Agency of Malta. These copies will be distributed to public schools in Malta. We also had some backers who loved our book concept and pledged on the expensive rewards; all of the main characters (except 1 which we didn’t commission) will be painted after real kids, a real baby, and a real mum. All but one are multicultural/multiracial individuals. Why did you do a KS campaign if you had a small traditional publisher already lined up? Thinking outside of the box, I pitched the idea using the Kickstarter campaign as a proof-of-concept that the book was worth publishing. That reduced the risk on their side (taking on an unknown author), and I was highly motivated to ensure the campaign was a success so that the door to traditional publishing wasn’t closed. I don’t have time to learn all aspects of book publishing, but I knew that working with a small publisher would allow me to learn more about the process while creating a professional book. This also ensured the traditional publishing contract terms for the artist and me which were much better than the norm. How many people do you think you’ve emailed/reached during the campaign? What was your most significant source of backers? Hundreds of people, probably. These were a mix of media people and potential backers. I don’t remember what the ratio was. My biggest source of backers came from my ‘Friends’ on Facebook, which comprises of people I personally know and people I have met online, who are people who have traveled a lot and/or have families of mixed cultural backgrounds. What was the most surprising aspect of your Kickstarter campaign? What did you not expect to happen that happened and vice versa? Positive: I did not expect to get so much support from the public sector, so much exposure from the media and so many high pledges from individuals. Negative: I did not expect people in Europe were that unfamiliar with crowdfunding. I didn’t realize how severely I would be ‘punished’ by Kickstarter regarding visibility for not having enough pledges during the first 24 and 48h. Instead, I would have skipped the Thunderclap campaign entirely and focused solely on raising awareness. I should’ve done more work educating potential backers about Kickstarter; why we need their support right away, explain they have nothing to lose and that there are 0 charges unless we are fully funded. I had also not anticipated how time-consuming running a Kickstarter campaign would be. My youngest does not attend daycare and my working hours were limited. I had to accept my limitations that I could only do the best I could, hoping it would be sufficient. Did you have to change your strategy mid-campaign? If so, why? Yes, I did. We wouldn’t have made it without changing the strategy. It was too much and it wasn’t working. I had to do something drastic, and the only thing I could give out was the text of the story. I asked for advice from experienced people. I reached out to Steve Tanner from TimeBomb Comics who has created several successful Kickstarter campaigns and was our very first backer. He told me that if the book were to be released in a short time frame, i.e., 3 months, I wouldn’t have to publish the story. But, in my case, since the book wouldn’t be out for a year, I should. He was right. Parents often want to know what they will be reading to their children. If the parents liked the story, combined with the skills of the artist which they could see on our page, they would support the campaign even if it was a year to publication. And it worked. Even though the text still needs to go through the last rounds of editing, people loved it, and we made our goal in time. If you have no idea about marketing and how to set up a book crowdfunding campaign, and do not have the time to learn how to do it the right way, reach out to an expert like Lisa Ferland who can guide you through the whole process. I know that like birthing babies, you never ask a new mother if she’s planning on having another baby, but could you see yourself doing another Kickstarter campaign for books in the future? Maybe I would, I am not sure. It’s very intense and emotionally draining. When I had my first baby, I was sure I wouldn’t have another one. I didn’t wish to go through pregnancy and giving birth again. Well, we now have two children 🙂 I’ve learned to never say never in life. Kickstarter can be a great marketing tool and a way to test the market provided there is a solid plan in place to support it. Elisavet Arkolaki is a mother of two young children, entrepreneur, professional writer, online marketer, and a certified teacher of two foreign languages. 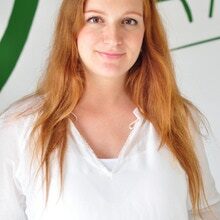 She runs the top parenting blog in Malta www.maltamum.com, and is the exclusive retailer in the country of two of the biggest international babywearing brands, and the co-founder of All-in Translations, a multiple-award winning translations company. She has lived in six countries, and has travelled around the world. Her biggest passion has always been and still remains, the written world. Be sure to check out her Kickstarter campaign for Where Am I From? Want to keep reading about other authors’ experiences on Kickstarter? Find out how Snail, I Love You showcased unique quilt art illustrations to connect with readers (funding 433%). Learn how one client of mine went from $6k-$15k and used her event hosting skills to save a floundering campaign.